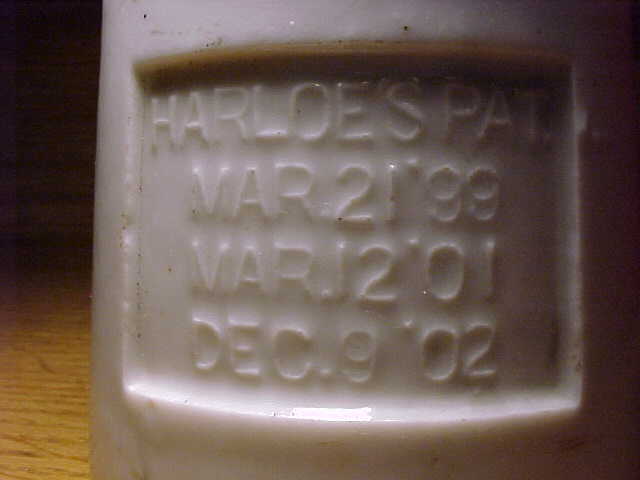 This style of insulator was patented by Morton Harloe so that a tie wire did not have to be used to secure the conductor to the insulator. This would save considerable time for a lineman. This insulator would have been very difficult to manufacture. In fact, it could not have been made using a wet process manufacturing technique. 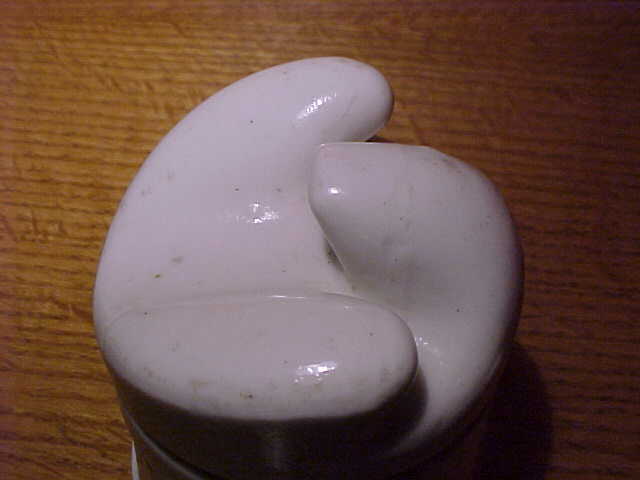 Instead, it would have required that the insulator be molded using a process technique in which clay is pressed into a mold of this shape. 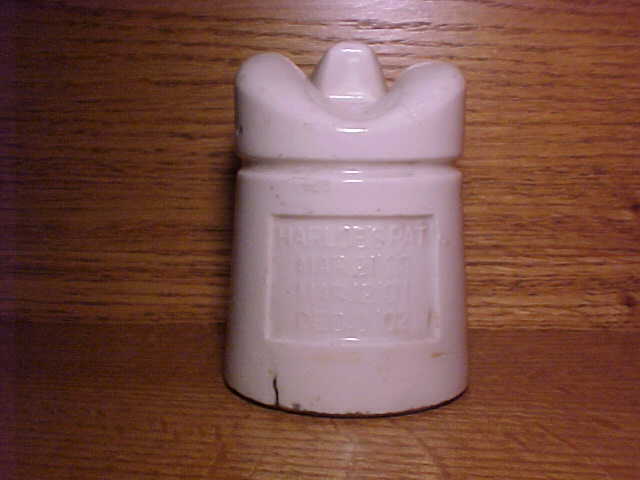 The Value Guide for Unipart and Multipart Porcelain Insulators estimates that there are 15-20 U-184s. Of these, 11 were in the hands of the collectors participating in the survey. With such a small number, it should be possible to compile a record of each one to see if that estimate is correct and to provide a record to identify each one. Click here to see the inventory to date.